Vinegar is a sour-tasting liquid consisting of impure dilute acetic acid, made by oxidation of the ethyl alcohol in beer, wine, or cider. It is used as a condiment or preservative. The word vinegar comes form the French term “vin aigre” which means sour wine. It’s made by fermenting alcohol which can come from a variety of sources – rice (used to make rice wine), fruits such as apples (used to make apple cider) and grapes (used to make red wine, white wine and champagne) and malted barley (used to make scotch) to name a few. Vinegar is now mainly used as a cooking ingredient, or in pickling. As the most easily manufactured mild acid, it has historically had a great variety of industrial, medical, and domestic uses, some of which, such as its use as a general household cleaner are still commonly practiced today. Vinegar has been made and used by people for thousands of years. Traces of it have been found in Egyptian urns from around 3000 BC. It is made when alcohol gets fermented by bacteria which produce acetic acid – a sour tasting compound; this is what is in white vinegar. 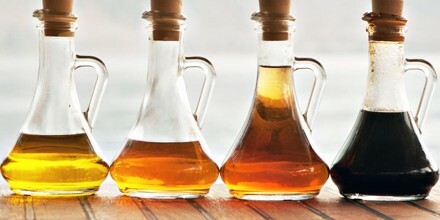 The source of alcohol that the alcohol is made from determines the type of vinegar that is made and the various flavor components that result. Unlike other types of vinegar, balsamic vinegar is made from grape juice and not alcohol. It’s made in the areas of Modena and Reggio Emilia, Italy and it is made from white Trebbiano grapes. It gets its name from the word “balsam” which means to heal or cure as it was used in the middle ages for therapeutic purposes. 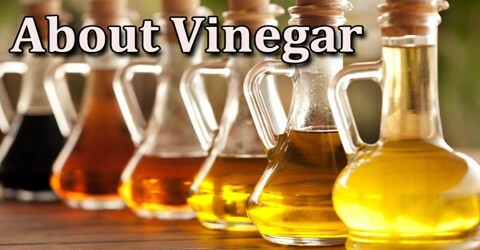 Vinegar is commonly used in food preparation, in particular in pickling processes, vinaigrettes, and other salad dressings. It is an ingredient in sauces such as mustard, ketchup, and mayonnaise. Vinegar is sometimes used while making chutneys. It is often used as a condiment. Marinades often contain vinegar. In terms of its shelf life, vinegar’s acidic nature allows it to last indefinitely without the use of refrigeration. When the editors of Cook’s Illustrated set out to find the most effective way to wash fruits and vegetables, vinegar came out the clear winner, beating antibacterial soap, water and just a scrub brush in removing bacteria. Fill a spray bottle with three cups of water and a cup of white vinegar, and spritz each tomato, apple or any other smooth-skinned fruit or vegetable about six times. Rinse well before eating. Small amounts of vinegar (approximately 25 g of domestic vinegar) added to food, or taken along with a meal, were proposed in preliminary research to reduce the glycemic index of carbohydrate food for people with and without diabetes. Some preliminary research indicates that taking vinegar with food increases satiety and reduces the amount of food consumed. 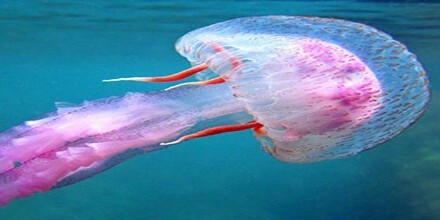 The vast majority of jellyfish stings aren’t harmful—but even so, the pain can put a damper on people’s day at the beach. Dr. Oz has a fast-relief remedy: Fill a bucket with vinegar and soak the affected area for 15 to 30 minutes; the acetic acid in the vinegar stops the tiny darts that a jellyfish injects into your skin from releasing more venom. Esophageal injury by apple cider vinegar tablets has been reported, and, because vinegar products sold for medicinal purposes are neither regulated nor standardized, they vary widely in content, pH, and other respects. Long-term heavy vinegar ingestion has one recorded case of possibly causing hypokalemia, high blood levels of renin, and osteoporosis. 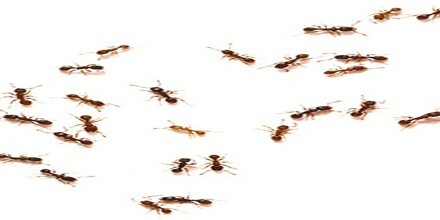 Spring and summer often bring ant invasions into homes, and while some of the natural deterrents people have heard about especially flour and pepper can be messy, a spritz of white vinegar is not and can work just as well. Spray it directly into cracks, around baseboards, on countertops or anywhere ants tend to crawl. 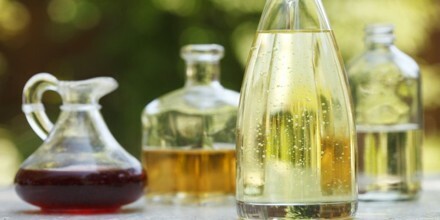 Vinegar has been reputed to have strong antibacterial properties. One test by Good Housekeeping’s microbiologist found that 5% vinegar is 90% effective against mold and 99.9% effective against bacteria, though another study showed that vinegar is less effective than Clorox and Lysol against poliovirus. 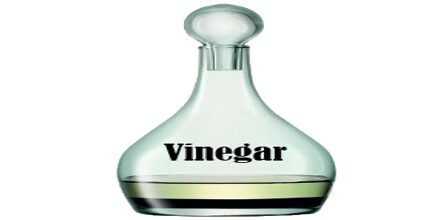 In modern times, experts have advised against using vinegar as a household disinfectant against human pathogens, as it is less effective than chemical disinfectants.